Entries from Digital Intelligence tagged with "firefox"
Mozilla has announced a new version of its Firefox, designed to work on stand-alone virtual and augmented reality headsets. 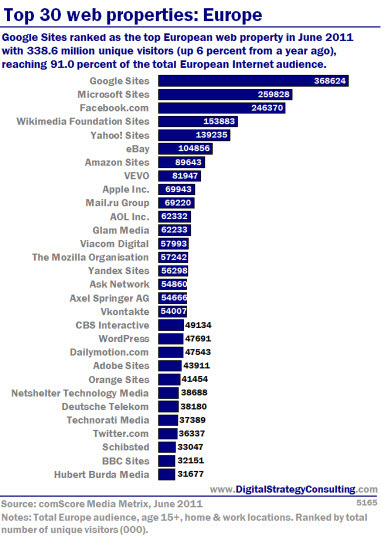 Mozilla’s move to make Yahoo default search engine, among other things, have led to Google’s search dominance experiencing its biggest drop since 2009, according to new research. Mozilla and Intex have launched the first Firefox OS phone in India, called the Intex Cloud FX and costing just £19.90 (1,999 Rs). Mozilla is testing a new scheme that will place ads and sponsored content on the boxes that appear when Firefox users launch a new tab on the browser. Mozilla has launched a new version of its Firefox web browser, featured a ramp if new customisation options as the firm looks to complete with Internet Explorer, Chrome and Safari in the fast moving sector. The boss and co-founder of Firefox browser maker Mozilla is stepping down following controversy stirred by his support of a California bill to ban gay marriage. Mozilla has shown off a prototype for a $25 (£15) smartphones, aimed at the developing world. Mozilla has published details of the first smartphones to be powered by its Firefox operating system, in a bid to challenge Apple and Google’s Android. Firefox maker Mozilla said it has agreed a three-year contract extension for Google to remain the default search provider on the web browser. Mozilla, the maker of of Firefox, announced on Tuesday that it has struck a new three-year deal with Google for it to remain the default search engine in the browser. Google's Chrome browser has overtaken Firefox as the world’s second most popular browser behind internet explorer, according to new data. 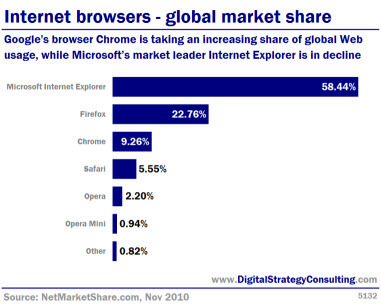 The findings from market research firms StatCounter and Net Applications, found Chrome is on track to challenge Microsoft's Internet Explorer as the world's most popular browser.